I'm 25 and I live in the UK. 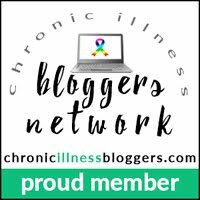 I thought I'd right this page not only to introduce myself but to show the non-medical side of me as even though I'm disabled I'm still Naomi and my illnesses are only a portion of me (even though they are there 24/7/365). Creativity is my huge passion of mine. Alongside letter writing which is a big distraction and coping tool and also a way of connecting with the outside world. In my bedroom I have a 2 metre long notice board which I put up all my mail and it never fails to make me smile and remind me how loved I am. I also like something called PostCrossing where you send and receive postcards from other member all over the world. I love arts and crafts and I'll give most things a go. I especially love decopatch, crocheting, embroidery, sewing, jewellery making and felting. A few years back back I studied from home a foundation course in Art & Design. My favourite colours are turquoise and dusky pink - my bedroom wall are painted in a shade called 'Unicorn Horn' (I liked the colour and then shade name was just a bonus), though if sparkle was a colour that would be my top choice! I also love baking and I'm good at adapting recipes to meet my allergies and intolerances. Watching a show called the Great British Bake Off really got me into wanting to bake more. My favourite thing to bake are brownies, mug cakes and banana muffins. I love doing my makeup and the sparklier I can get my eyeshadow the better. I'm also qualified to do CND Shellac™ and I have more nail polishes than I'd like to admit (all kept organised in colour order in a lovely zebra print case). My favourite TV shows are House M.D,. Grey's Anatomy and Chicago Fire. 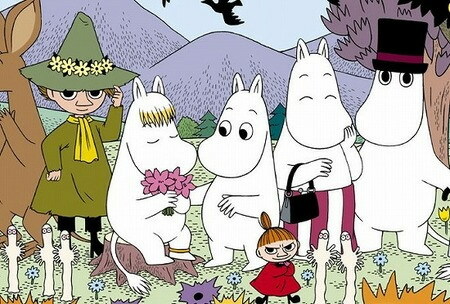 I'm a huge fan of the Moomins, Harry Potter and Disney. I'm also love Instagram and Pinterest- there's no such thing as a quick look on Pinterest; I always seems to go off on a tangent when I go on there and end up looking at something completely random and off-topic to what I was originally searching for! I'm also a Christian and my faith plays a huge role in getting me through the day and in the knowledge that God has great plans for me. When I'm well enough I plan to go back to University. I'd like to study 'Creative Expressive Therapies' at the University of Derby which is about using creativity to aid people's wellbeing. I'd like to work with children and young people. Eventually I hope to train as a Child Psychotherapist.